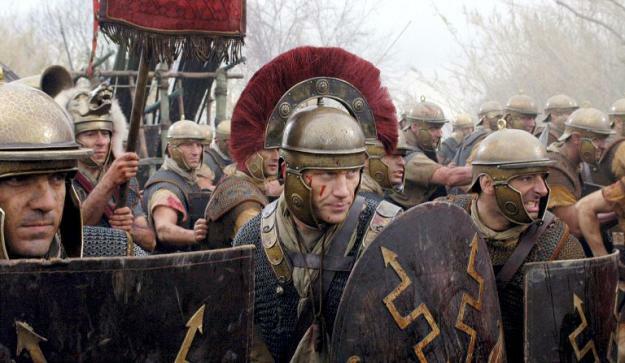 I believe Roman Discipline will prevail! The battle line is about to swing by 90 degrees... both right flanks in trouble... the Barbarian one has just about evaporated with one tough unit holding out at 3 to 1 odds ... one of the Roman legion cohorts isolated on Roman right ... both sides I think have lost one general apiece so far... a bloody affair. The Battle end in a narrow Roman victory ... more than half of each army's forces have been destroyed or routed -- the Barbarian incursion into Pannonia has been beaten back. Legionaries present their commander, Badgerius LXXIII with grisly trophies of their battlefield success -- no quarter was given. 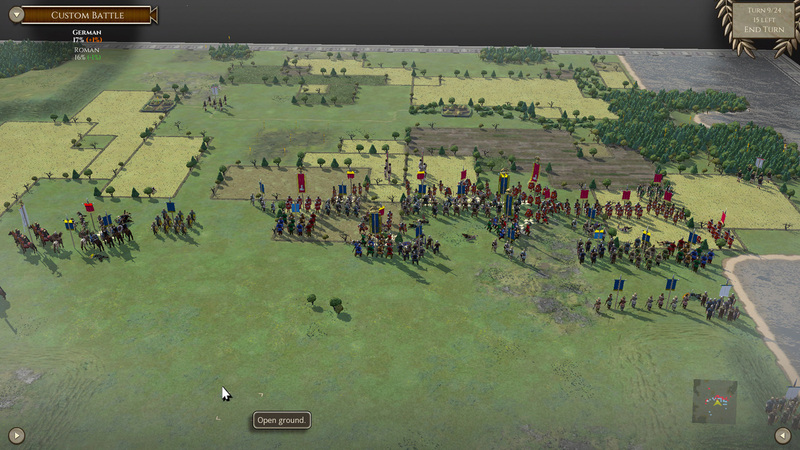 Ave imperator, Wellsonius, and loyal comrades. 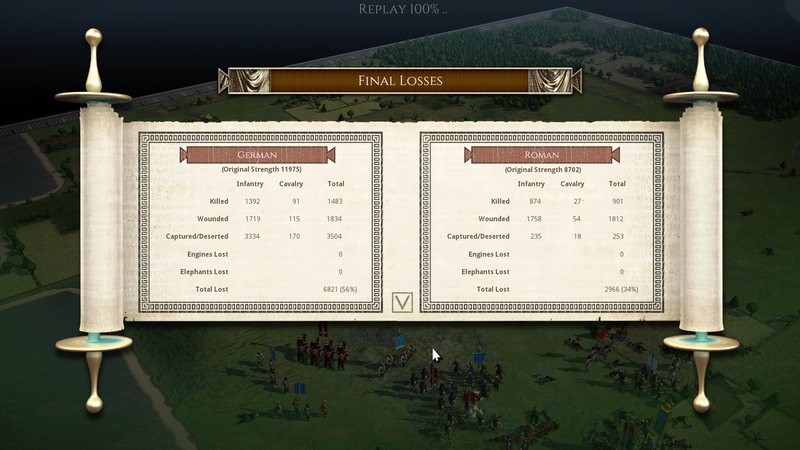 The Thirteenth Legion prevails!! The Riconii are erased from our lands. 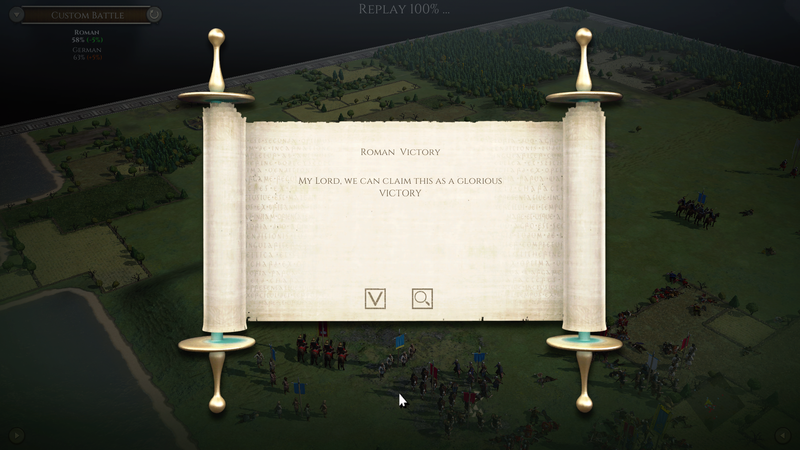 True rule of Rome stands secure. 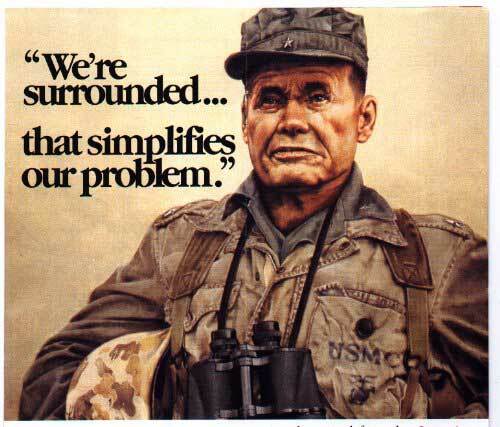 Our enemies tremble. This now concludes TURN 1 -- we immediately move along to TURN 2. Every faction has TWO action points -- the GREEN faction navy controls the Mare Occidentale. The NORTH AFRICAN NOMADS are riding out of the Libyian deserts and raiding into the province of AEGYPTUS! Standing by for your ORDERS! @Rico - @enigma6584 is traveling for the holidays. He'll be back later in the week. Let the Roman legions fortify their camps while they wait in place . . . Yes, I was travelling but am back now. Will peruse the current situation and give my orders in the next day or two. Thank you @Badger73 for the notice to @Rico . BLUE faction: build one new Legion in Britannia and Italia provinces. RED faction: build one new Legion in Asia province and attacks into Pannonia from Macedonia. 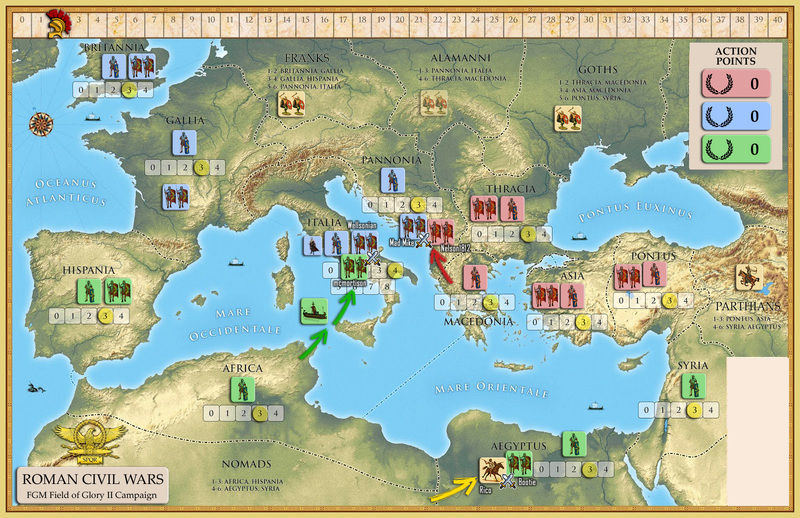 GREEN faction: build one new Legion in Aegyptus and the Africa Legion crosses the Mare Occidentale and attacks Italia. 3. GREEN vs North African Barbarians in Aegyptus. Faction leaders please assign commanders for all the battles -- and I will brief on setting up battles later today, or once I have them. I KNEW there was collusion afoot! 3. GREEN @Bootie vs North African Barbarians @Rico in Aegyptus. 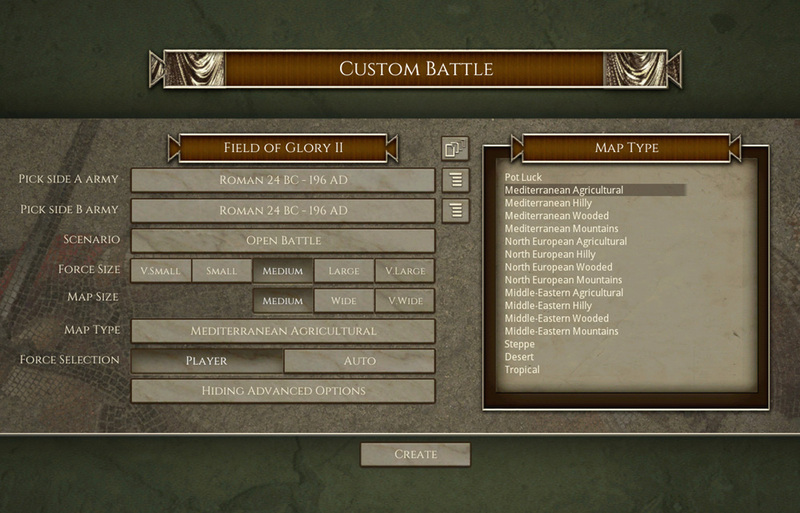 Suggested settings below -- medium battles and medium maps give most manageable battle sizes ... Mediterranean Agricultural usually will provide most sensible random maps. ALL units available in the Roman OOB can be selected for use. If the random battle map is too weird and one-sided -- we can discuss a re-start. Is it time period specific OBB? MadMike men.. stared directly into our eyes... covering themselves in the traditional goat's fat. at this distance the smell was almost unbearable. Despite fighting for the Blues, his men wore red... perhaps an Omen! Here is a question....can you choose the color of your banners in FOG II? I dunno -- would be cool.